Step Aside for the Flappers! In the 1920s, a group, known as “flappers,” emerged into society. Flappers were defined as young, single women who strayed away from the traditional identity and role of women in previous generations. The birth of flappers was the result of the success in attaining women’s suffrage through the 19th Amendment. Granted with political rights, women now have more say and power. Therefore, flappers were a representation of change. Flappers typically had bob haircuts, wore short skirts, and smoke and drank in public venues. This is illustrated in the pictures above. On the left, is a picture of a flapper smoking. 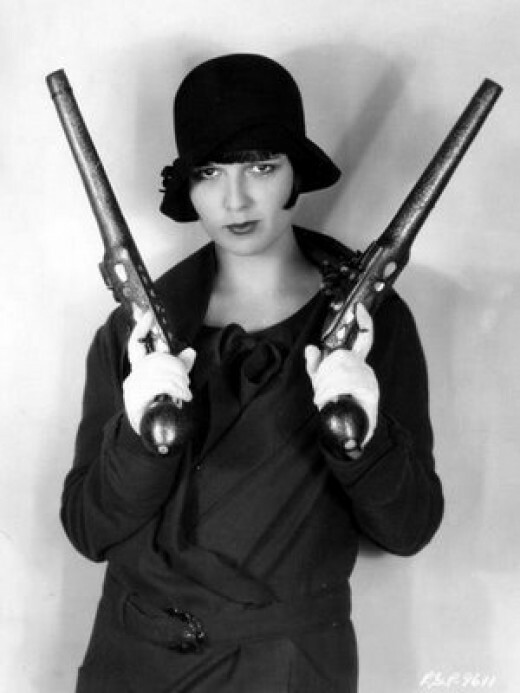 On the right, shows a flapper holding guns in both hands. These pictures illustrate how women were radically different in terms of fashion and behavior. If these pictures were taken a decade ago, it would have draw massive criticism and disapproval. This comes to show that times have changed, and the definition of a “woman” is evolving. First of all, suffrage means the right to vote. The Women Suffrage Association, which only had about 3000 members in 1893, had more then 2 million members in1917. It brought women freedom and more public space. Finally this movement won the protection of women and gave them the right to vote. 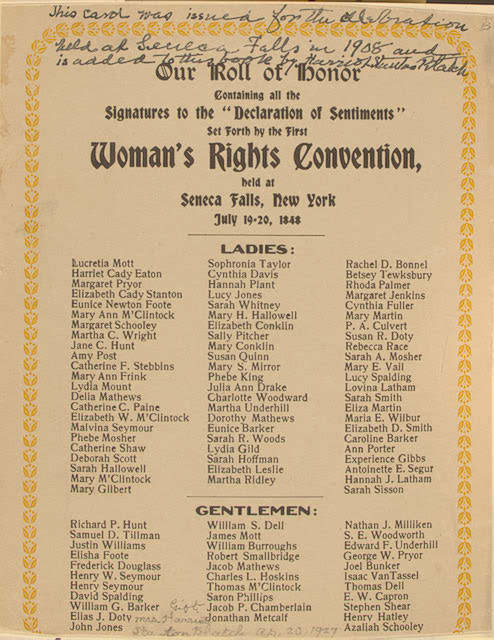 The Seneca Falls Convention was held on July 19-20, 1848 consisting of both men and women whom came together to discuss about women’s rights. 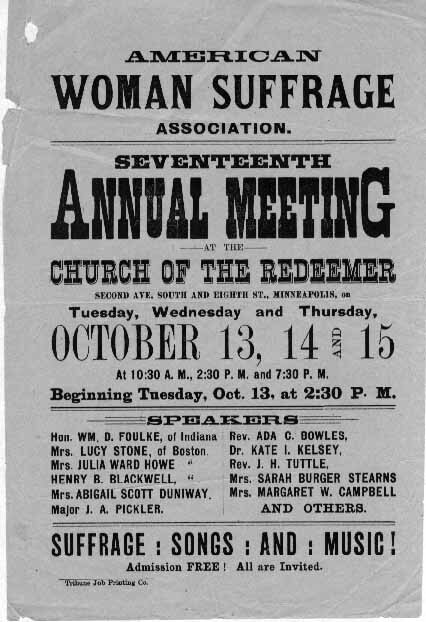 This convention was because it started the uprise of woman fighting for their rights. Some politcal gains immediately took effect such as the Married Woman’s Property Act which allowed the rights of ownership to property woman brought into or gained during the marriage. The Convention had a heated debate over the right for woman to vote. Ultimately it was included and exactly 100 people signed off on this document, mostly women. As a result of the success the held a second convention in Massachusetts.